Monthly Vacation to Jamaica Courtesy of Braata Box — Braata Box & Co.
Last year, I prepared for my departure to Grand Santi, a remote village in French Guiana, accessible only by boat or plane. A quick browse of the internet revealed that there were no fancy restaurants or supermarkets so my food options were limited. In true Jamaican style, I packed for the nine-month trip the best way I knew how. Wrapped in foil was a lone roasted breadfruit; Tucked between shirts and jeans were crackers, banana chips and bun. Hidden in pockets were curry seasoning, cinnamon and a bottle of hot sauce. In no way did my actions demonstrate mistrust of the food in Grand Santi. Instead, it demonstrated an attachment to products considered staples in Jamaican cupboards. For, what is Easter without bun? Many Jamaicans too can attest to the pre-departure fish-frying, bammy-buying, cheese-cutting, sorrel-picking, castor oil-sourcing, rum-stacking, coffee-stashing ordeal, whether at the request of family members overseas or personal satisfaction. Many a suitcase has left both international airports stocked with Jamaican products in an attempt to satisfy the cravings for home. In addition to Jamaican favourites, the manufacturing sector has seen the emergence of new products –from make up to condiments, jewelry to gourmet treats. 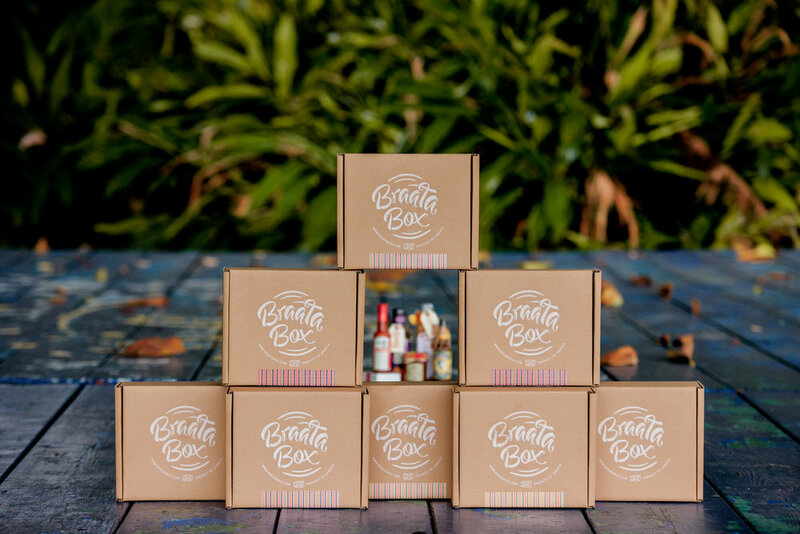 With Braata Box, you can forego the frequent calls and the trip to Jamaica to sample these niceties and have Jamaica delivered to your doorstep instead. With your subscription, you receive a monthly surprise of 5 to 7 full-sized products based on the running theme. Whether it’s a special occasion or just another day, the unique Jamaican treats will evoke nostalgia for the Jamaican and a warm welcome to the potential visitor. With the sample of each product you experience Jamaica, her flavor, flair, culture, beauty and heritage. In other words, you get a monthly vacation to Jamaica courtesy of Braata Box!